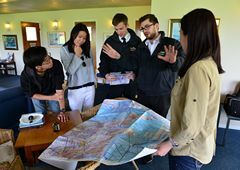 HKFTC works closely together with three Flight Training Organisations (FTO) overseas to provide quality flight training services. 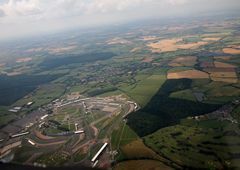 Two of them are located in Australia and one in the United Kingdom. 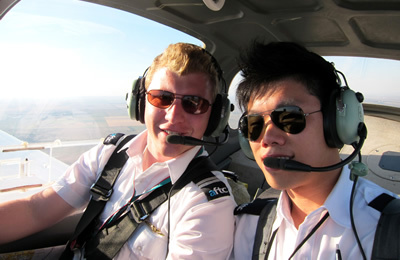 Our primary concerns are to maintain professionalism, highest standards, and safety in flight training . 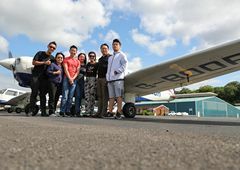 All flying instructors in these FTOs are experienced professionals with passions in flying and teaching people how to fly. 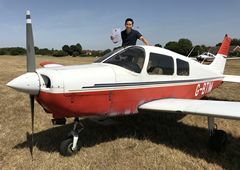 Their training programmes are approved by CASA (in Australia) or CAA (in U.K.) and aircraft are rigorously operated and maintained in accordance with the Civil Aviation Regulations. Our training fleet includes a whole series of Cessna C172SP, Diamond DA40, and Piper PA28 Warrior aircraft. Australia is a very big country with excellent weather, landscape and geographical features that are suitable for flight training. It is also one of the few countries with a long history in aviation, allowing the nation to build up its good infrastructure, resources and support services for flying. These are crucial factors for Australia’s success in maintaining a high standard of flight safety and standing to be one of the safest flying environments in the world. 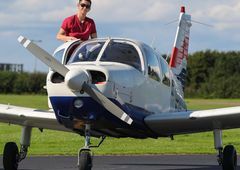 The Private Pilot Licence issued by the Australian government is a well recognised licence and the holder of this licence may fly in most countries around the world. Distances between Hong Kong and the major cities in Australia are about 7000 km requiring a flight time of less than 8 hours. The time difference between Hong Kong and Australia is 2 hours, so students can keep a fairly close contact with their friends and families. Moreover, Australia's conventions, such as unit of measurement, mains voltage and the way of driving, are similar to that of Hong Kong, making students easier to adapt to the living environment there. Also called the Sunshine State, Queensland is located in the North-East part of Australia. Brisbane, located in South-East Queensland boasts consistent good weather with few extremes in temperature or rainfall. The weather is comparable to Southern California in terms of a temperate climate but without the environmental problems. Consistently good weather enables access to a variety of pristine coastal and hinterland locations all within brief flight times from our base location. It optimises available training time and reliable access to a variety of terrain, landing areas and conditions which are generally not available elsewhere. 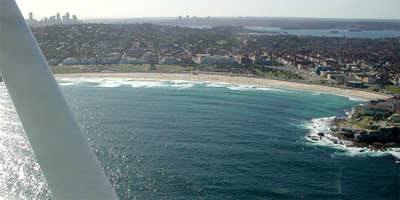 Some of the flight training routes will even lead you to certain scenic locations of Australia. Training route heading South leads you to the Gold Coast and the surfers' paradise, North to the Sunshine Coast and the Great Barrier Reef. You be climbing to the Great Dividing Range while flying in the North-West direction - flight training could be fun and enjoyable! 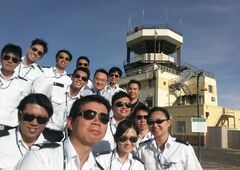 We are probably the first organization to introduce a comprehensive yet systematic flight training programme to the general public as well as to the new 334 secondary school curriculum in Hong Kong. 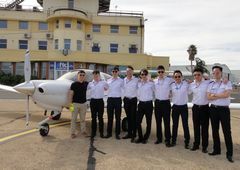 Considering the cultural background and learning characteristics of our students, we have work closely with a major flight training materials developer in Australia to tailor-make our course materials, ensuring that the breadth and depth of each course are just right to equip our students for their real flying in the next stage. The quality of our course materials are well proven and are widely used by many airline and military cadet training programmes. Also, there is a spiral progression in the relevant areas of knowledge across the courses, making them comprehensive and coherent. Yet each module serves a particular purpose and can be taken as a stand alone package according to the needs of the students. In flight training, there are many abstract ideas and concepts about size, speed, working principles, procedures, etc. that one must be able to master. In the old days, many students would have difficulties in grasping these ideas and concepts with plainly the chalk-n-talk mode of learning and teaching. With the help of the latest information technology, some of these ideas can now be perfectly illustrated with multimedia resources such as video, animation and even simulation. Here in HKFTC, students have the advantage of supplementing their learning through a series of computer-based training material and real flying video clips. The series contains rich multimedia elements of outstanding quality and clarity that help students to visualize abstract ideas and concepts. Such mode of theory delivery is similar to that adopted by pilot training of major flying schools around the world.